The 90 min "Smoothwater Classic" departs Pelican Waters Tavern at 10.15 am and arrives back in time for lunch. The afternoon cruise departs from the Tavern at 1.30 pm. (Wheelchair Access at this wharf). Plenty of parking in the Tavern car park). Pelican Waters Tavern offers various lunch specials or you can choose from the regular menu and receive 10% discount as a cruise guest. 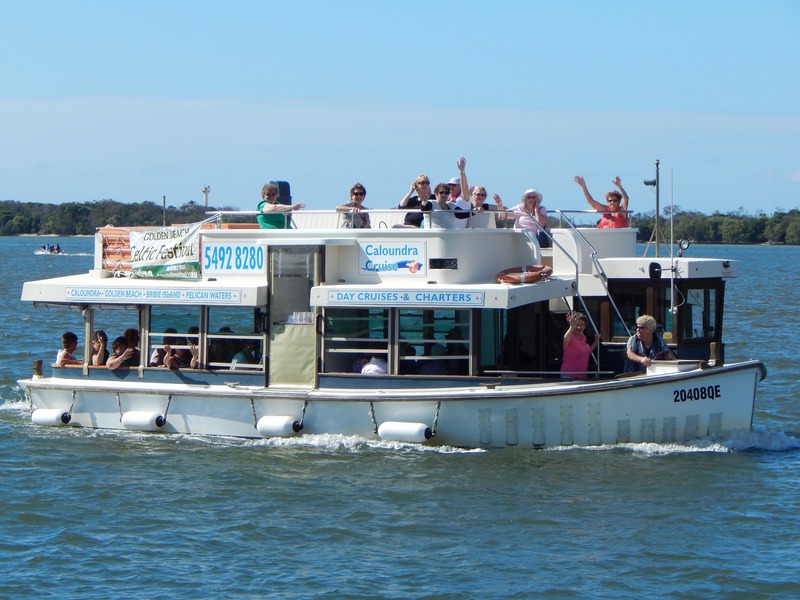 Saturday "Skipper's Choice" departs from Pelican Waters at 10.30 am and arrives back in time for lunch. This cruise explores different parts of the Marine Park and the new Marina developments. Booking is requested for all cruises to ensure seat availability and confirm departures. Wheelchairs may board cruises which depart at Pelican Waters only. Please advise number of wheelchairs at time of booking.